I have been using nslookup for the longest time I can remember. 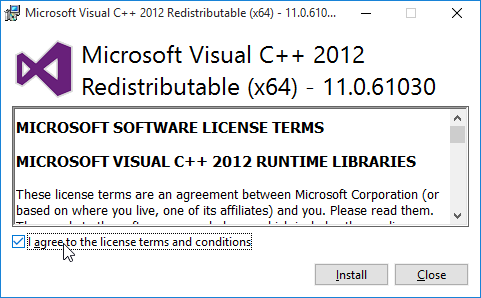 Although, this may be an older topic to some, it may be a newer topic to most Windows users. Note: nslookup is deprecated and may be removed from future releases. 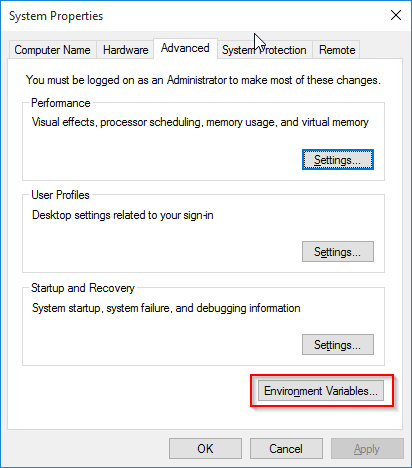 Consider using the 'dig' or 'host' programs instead. 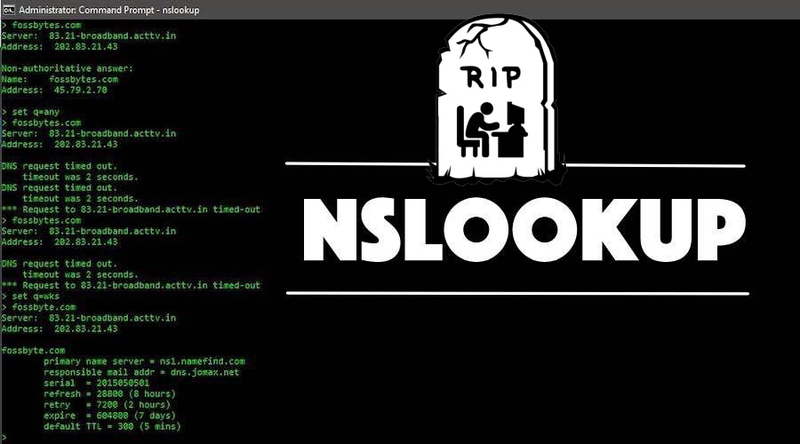 Run nslookup with the '-sil[ent]' option to prevent this message from appearing. ISC is the organization behind the Berkeley Internet Name Daemon (BIND). BIND is the most widely used DNS server in the world. nslookup is distributed with BIND. If you run OS X or any current version of Linux “dig/ host” already installed. In our test case, we now know can see that www.google.com resolves to 172.217.9.196.
www.facebook.com is an alias for star-mini.c10r.facebook.com. C:\Users\mwasay λ host 157.240.17.35 35.17.240.157.in-addr.arpa domain name pointer edge-star-mini-shv-03-dft4.facebook.com. 35.17.240.157.in-addr.arpa domain name pointer edge-star-mini-shv-03-dft4.facebook.com. Try typing in host -a, followed by a website address, and note the results. Yes, that’s right. If you type in host -a it gives you the same exact output that you would get from a plain-old dig command with no options set. 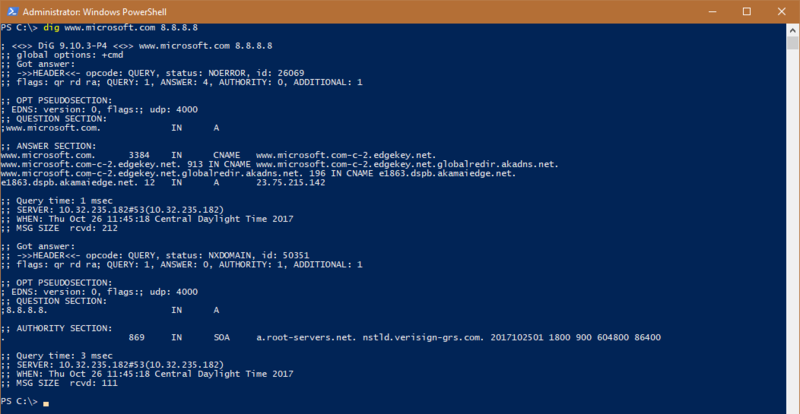 Hopefully that quickly explains how dig/host is being used as a nslookup replacement. dig is a whole lot more informative and easy to use. 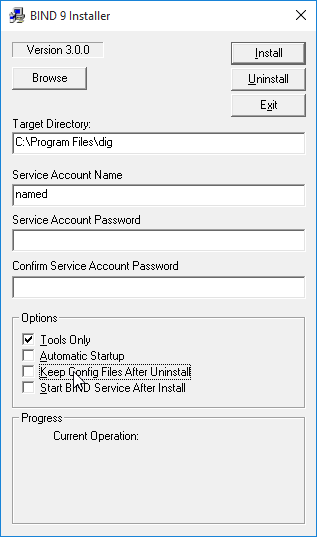 See the top 12 commands used in dig here. 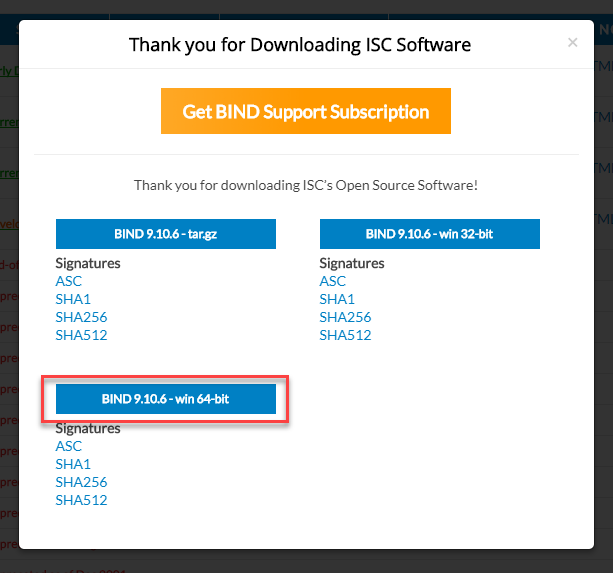 First go to http://www.isc.org/downloads and look for BIND, click on download button. 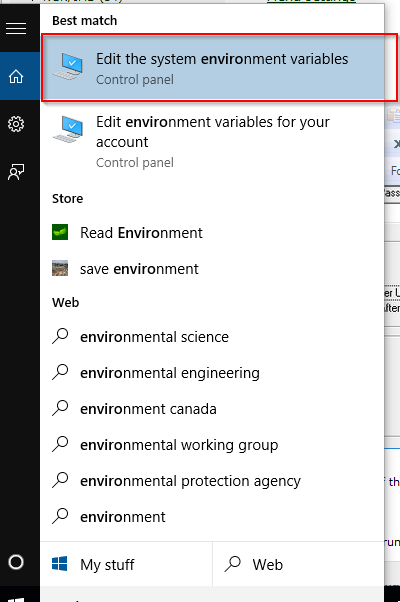 When we have successfully downloaded the archive file, extract the zipfile content to a temporary directory on your workstation. Depending on your system you may get an error dialog will open saying MSVCR110.dll is missing. so download mentioned update and install it. Depending on the system it may require a restart. I would go ahead and restart. For Debian/Ubuntu based distributions it comes from the ‘dnsutils’ package. Dig is included in most Linux and Mac OS X installations by default via the Terminal.